The river levels in the Washington DC area on Sunday October 28th were very low. 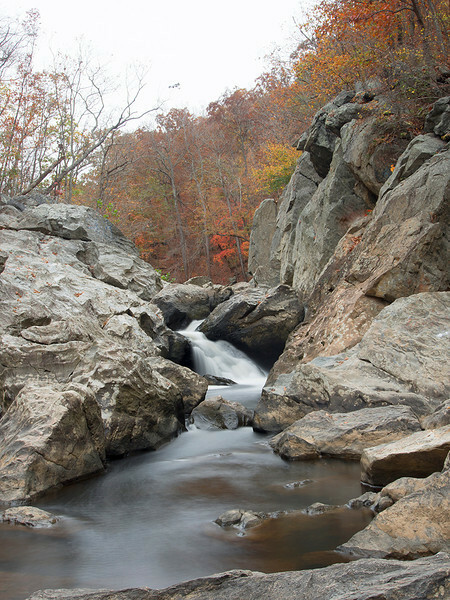 With dark, overcast skies in advance of the coming storm it was a perfect afternoon to take some photos along Difficult Run in Fairfax County, Virginia, capturing the last day of low water (for a while) and the last of the fall color. All photos taken with Olympus OM-D.